Have you ever played some of Sid Meier’s Civilization games on the computer? So for me the best Civ computer game is Civilization Revolution. Because it’s very streamlined and therefore very short. Which means that I would not go a whole day without eating when playing it. Only 3-4 hours at max. They kept just the good parts. So it comes as no surprise that as a boardgamer we have long been searching for the perfect Civilization boardgame. There has been quite a few over the years. Some bad and some quite good but very long. Here are some of the games that I have played: History of The World, Tempus, Civilization, Through the Ages: A Story of Civilization, Mare Nostrum, Rise of Empires, Runewars, Uruk, Roll Through the Ages: The Bronze Age, 7 Wonders, After the Flood, Age of Mythology, Antike, Colonial, Eclipse, Archipelagio, Assyria, Alien Frontiers, Sid Meier’s Civilization: The Board Game. 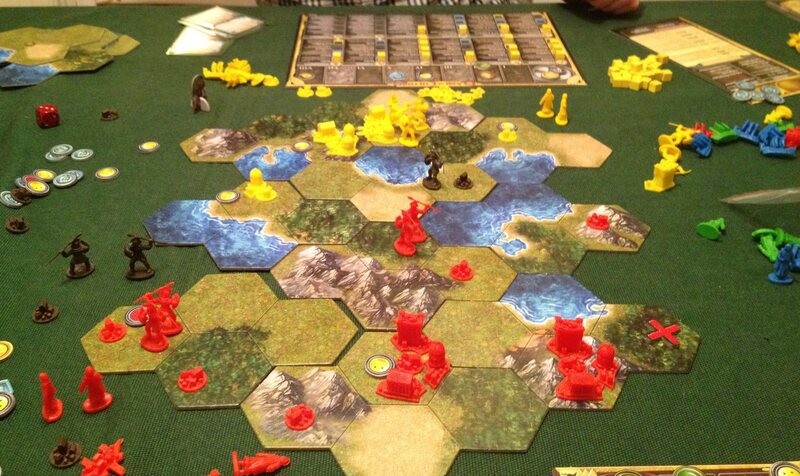 We had our hopes up Fantasy Flight games epic and official boardgame version: Sid Meier’s Civilization: The Board Game. But to me it fell flat with a bad combat system and a horrible army build mechanic. But this winter something happened. 2 very promising Civ game where released at Essen spiel. 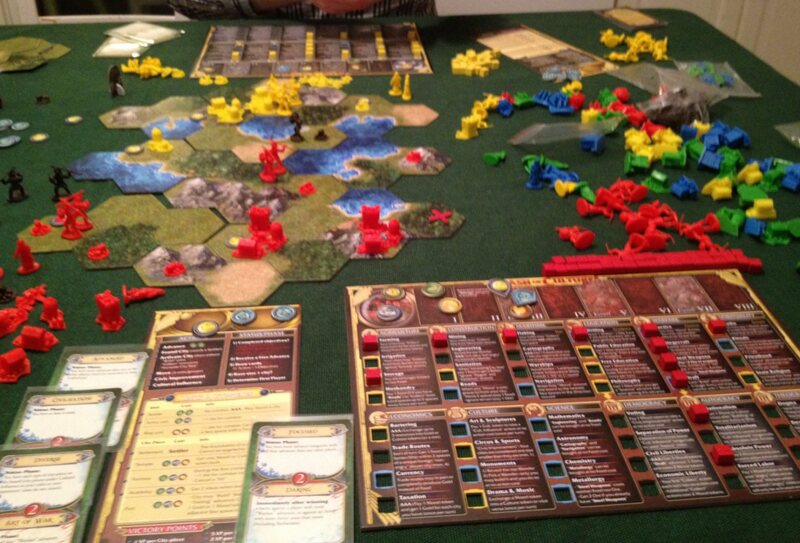 The first I got my hands on and played was Terra Mystica. It’s a very good game with lot’s of interesting mechanics and many difficult decisions each turn. The interaction is low and it’s not quite the traditional Civ game. It plays beautifully and is new favorite boardgame of mine. Tonight I finally got to play the second game. Namely Clash of Cultures. For me the best part in all the classic Civ games are the early part before anyone develops gunpowder and more modern technologies. 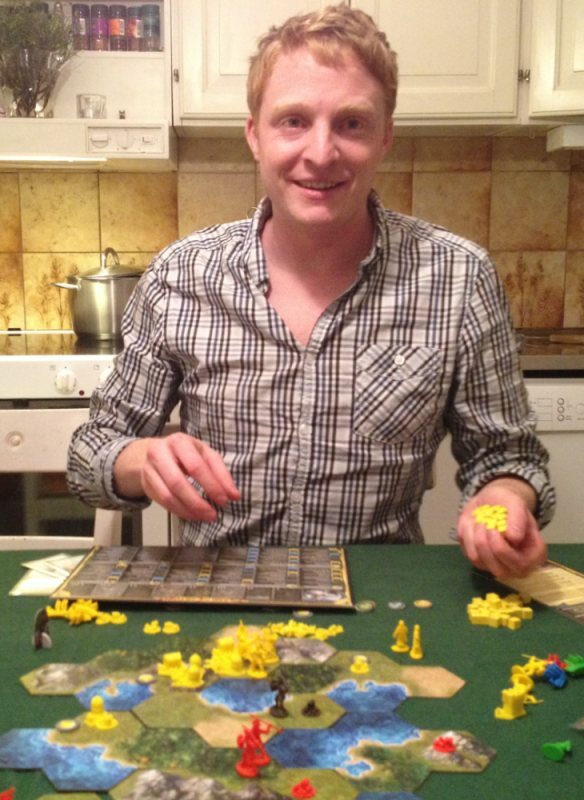 In Clash of Cultures you only play in a antique civilization and that is perfect for me. This game captures all the classic ingredients for a Civ game. And does so in a very streamlined way with lots of tough choices. I have link to a gameplay video in my previous episode: #081 [LXXXI] The Future is a co-op game we all can play and win! Time will tell if it is the the game I think it is for me. Me and Martin played a 2 player short game tonight. 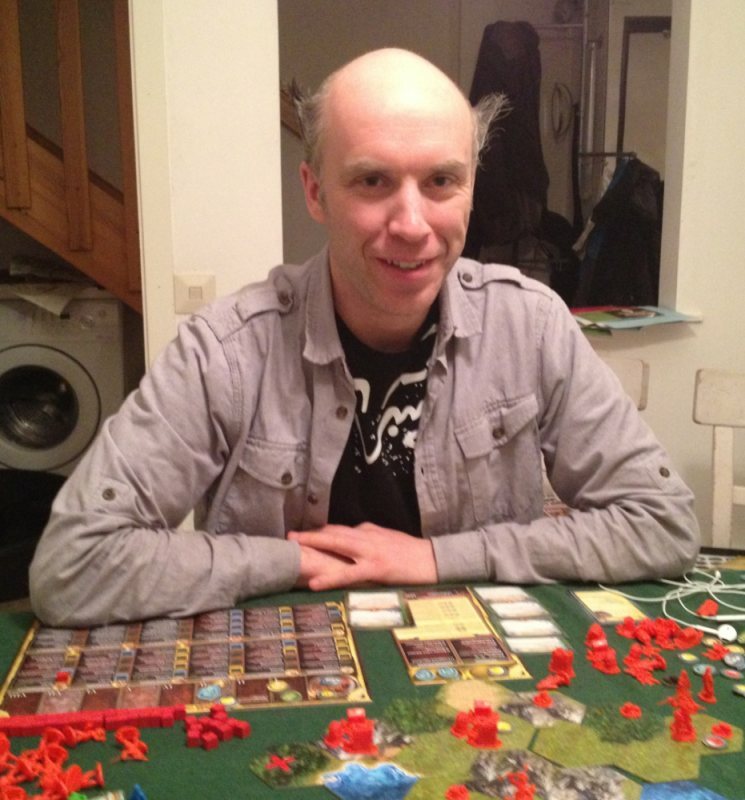 This entry was posted in Gaming and tagged #Blogg100, Boardgames, Civilization. Bookmark the permalink.